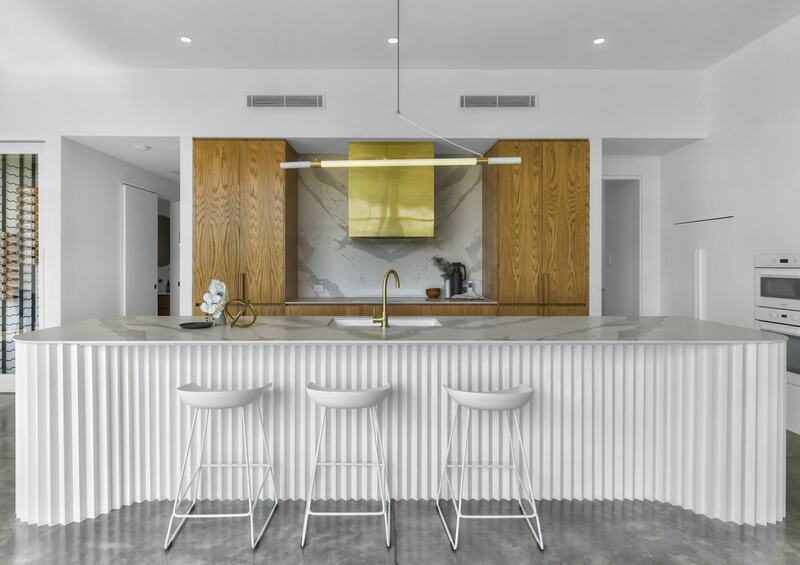 Meir is an Australian company that specialises in the design and manufacture of premium tapware; with an emphasis on modern design and clean lines. Meir exists to help people love their home. The name MEIR is an acronym of the founding family members; Marco, Ellara, Irma and Rick Bazerghi, so their ‘We are family’ adage underpins everything the brand does. From customers to staff to press and beyond, Meir takes pride in cultivating a community of care, trust and commitment to quality. This has no doubt helped the brand grow (with distribution centres across Australia, UK, The Netherlands, Slovenia, South Africa and New Zealand) and stay innovative. As a long time user of Flaunter, we caught up with the Meir team to find out more about their incredible success, and learn more about their winning in-house PR strategies. WHAT SETS THE MEIR BRAND APART? Meir was the pioneer of tapware on e-commerce – the first to allow people all over Australia the ease of shopping quality tapware online, at a reasonable price. Since then we’ve partnered with major Australian companies such as Reece and Beaumont Tiles to allow people to walk into the store and view, touch and experience the product; creating an omnichannel platform for consumers. We understand that our products are not traditionally shopped for online, however, customer service is at the heart of the business, and we’re dedicated to ensuring a seamless customer journey from start to finish. This includes a generous returns policy, live chat and an abundance of accessible information such as in-depth specs and images of products and inspirational galleries. Our marketing team is constantly working with leading digital agencies and designers to ensure we present interactive, technologically innovative platforms for customers, which highlight the features and benefits of the products and allow consumers to shop with ease. 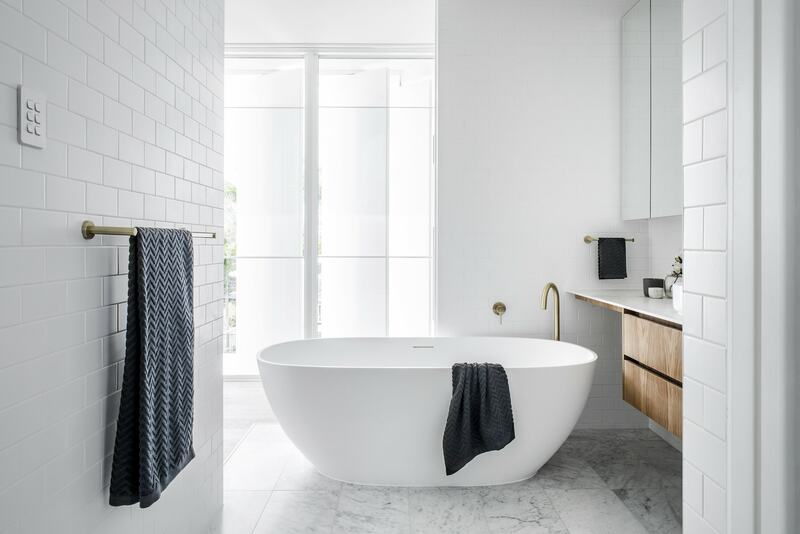 Meir has a strong social media and digital marketing presence within the Australian tapware industry and conducts regular photo and video shoots to provide a constant source of inspiration for customers. We’re also proud of the fact that we recycle 100% of the unused and excess brass during the manufacturing process. WHY IS PR IMPORTANT TO THE BUSINESS? HAVE YOUR GOALS CHANGED MUCH SINCE YOU FIRST STARTED? PR has been a great way for us to connect with people and publications who will communicate our brand messages with their audience and influence them. At the beginning of the Meir journey, we didn’t invest in a PR spend, as the goal was to invest in building a strong e-commerce platform. In the past two years however, goals have shifted and we’ve recognised the importance of investing in platforms that will increase the visibility of the brand to the media. Through platforms such as Flaunter, we’ve been able to reach thousands of key media people to share their messages, which has resulted in our products being featured in leading publications such as Adore Home, Belle Magazine, Vogue Living and many more. CAN YOU TELL US ABOUT THE SUCCESS YOU’VE HAD WITHOUT A PR OR AD SPEND? Without a PR or ad spend Meir products have been featured in over 110 print publications, as well as across thousands of online channels including blogs, magazines and social media. It is so important to build deep and meaningful connections with key people in the media. 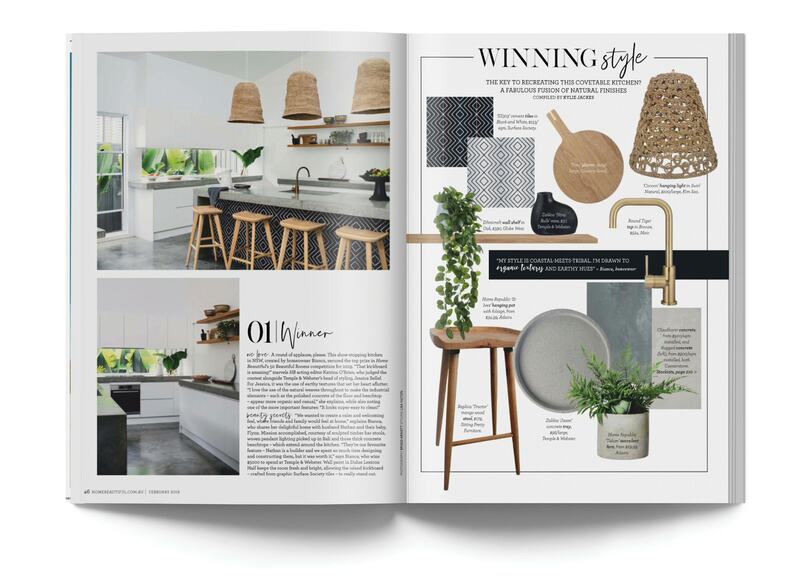 By continuously nurturing these connections over time, our brand has been regularly featured in magazines such as Real Living, Adore Home, House & Garden and Home Beautiful. We also have an in-house content team who are constantly writing about new products and projects. This content is shared across the company’s social channels – blasting news out to our digital community of over 45K. We have acquired significant PR coverage through this approach. HAVE YOU CONSIDERED USING A PR AGENCY? WHY DID YOU MAKE THE DECISION NOT TO ENGAGE ONE? There were times we considered using a PR company and met with numerous agencies to discuss their approach and packages, however, we decided to continue to build our strategy in-house and through channels such as Flaunter. This decision was mainly due to the success we’ve continued to have without a PR spend. WHAT ARE YOUR CORE IN-HOUSE PR ACTIVITIES THAT DRIVE COVERAGE? We have a content team in-house who are constantly strategising and building pieces of content to share across the company’s digital channels in order to reach the media and the company’s audience. The content is written in the form of blog posts, articles and press releases and is shared across LinkedIn, emailed to contacts and published on the Meir blog and other online blogs. Our team is also constantly working with leading photographers and videographers to produce the highest quality imagery, which then gets uploaded to Flaunter. This allows us to track which media people have viewed and requested the assets. HOW DID YOU DISCOVER FLAUNTER AND HOW DOES THE PLATFORM CONTRIBUTE TO YOUR OVERALL PR STRATEGY/SUCCESS? We were approached by a member of Flaunter to join in September 2017, and after speaking to brands within the industry discovered that they were achieving outstanding results on the platform, so had no hesitations giving it a try. Since then, Flaunter has been integral to our PR success. 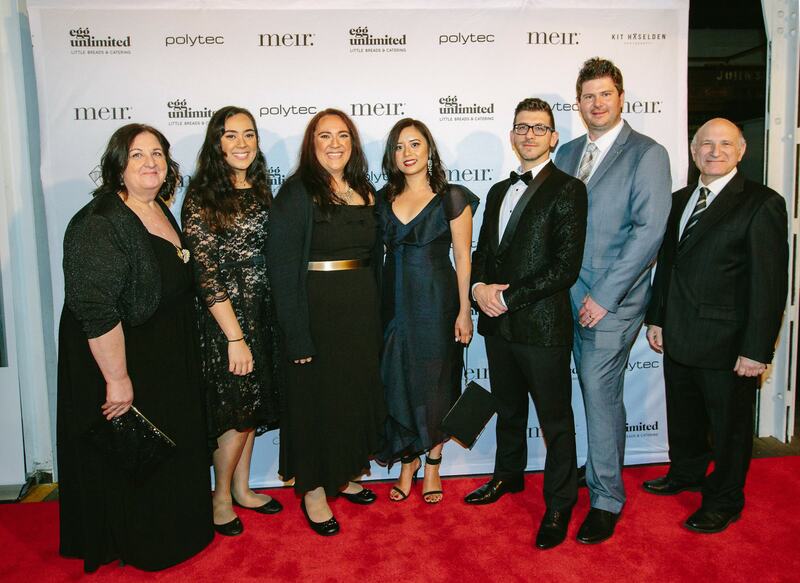 By connecting with thousands of journalists, bloggers and influencers, the Meir story has been shared with hundreds of thousands of people around Australia. We continue to be featured in major print and online publications due to measurable success through the platform. CAN YOU TELL US ABOUT THE IMPORTANCE OF QUALITY IMAGERY? Quality imagery is essential in bringing attention and credibility to the Meir brand and integral to driving sales. We sell luxury tapware and kitchen and bathroom accessories and are extremely aware that high-quality imagery will set the brand apart from competitors and provide consistency to our branding. High-quality imagery connects with people on an emotional level, and allows potential customers to imagine the product in their home – to visualise their ideal lifestyle and see that Meir is the missing piece in creating that. YOUR PHOTOSHOOTS ARE ALWAYS STYLED TO PERFECTION. WHAT ARE YOUR TOP 3 TIPS FOR CREATING BEAUTIFUL MEDIA READY IMAGES? Brief the photographer/videographer – We have a photography guidelines document that outlines every detail of branding for shoots. It includes things such as colours, example image photography, other brands which can be used and image quality. Know your customer – We always put ourselves in the shoes of their customers to think about how they will feel and what emotions they will experience when they see the image. Hire a professional – It is important to hire a professional photographer who has a portfolio of work they’ve done within the same industry. WHAT’S ON THE HORIZON FOR MEIR? We’re looking to increase our e-commerce and digital channels in line with changes in the digital space. There’ll be a new website launching next month, as well as a number of new products and new brand lines, stay tuned! Our new sub-brand Lavello has just launched the world’s first stainless steel scratch-resistant sinks in 3 luxurious finishes – brushed gold, gunmetal and brushed nickel. You can find and MEIR online at meir.com.au or follow them on Instagram at @meiraustralia or LinkedIn at Meir Australia. Calling all Journos, Bloggers and Stylists: instantly download hi-res images from MEIR here. Don’t have an account yet? Simply create one for free to start searching and downloading from our library of over 350 stunning brands.